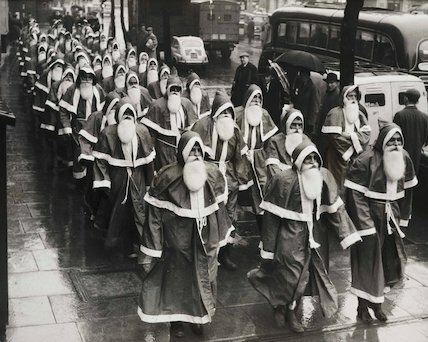 A photograph of many men dressed as Father Christmas on parade through the streets of Kingsway, taken by Terry Fincher for the Daily Herald newspaper on 12 December 1960. 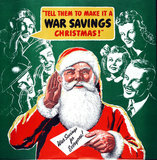 The multiple santas formed part of a 170 strong contingent working across the UK that year. This photograph has been selected from the Daily Herald Archive, a collection of over three million photographs. The archive holds work of international, national and local importance by both staff and agency photographers.